From the main road to the clubhouse is the length of the first hole, a short par 4, around 300 yards. That’s how golfers look at distance, in terms of yardage, though the first time I road my bicycle to the clubhouse I was more terrified than anything. Would someone come out and chase me away? I was not a member of the club. As I approached the first tee, which was just in front of the clubhouse, there was a group of three men on the tee. I stopped and sat on my bike as they hit their tee shots. At that time, golf was played almost exclusively by men. It would develop into a family sport, sort of, and women and kids would play. But on a summer afternoon in 1968, on a rural golf course in central Illinois, men dominated the sport. One of the men asked what I was doing. For many of my stories about the golf course, I will not remember exact conversations, or an exact sequence of events. As I write this, the events in my memory are almost 50 years old. I know from experience that these three men on the tee would have been curious, if not a little annoyed at being watched by a strange boy on a bike. But they would have been polite, as that was the way then, even with strangers. I was not causing trouble. I was quiet. That would be enough for any golfer to respect in a gallery, even a gallery of one. I’m sure my answer to the man’s question was not very creative: “I’ve never been on a golf course before,” I might have said. I would have been hesitant at his suggestion. For one, I was excruciatingly shy. As the oldest of four boys who had moved from one small town to another every year or two, never acquiring friends, living a very sheltered life, I would not have wanted to become the center of attention. My parents had given us an allowance a couple of years before, maybe $0.10 per week. Candy was cheap back then, and we didn’t really need money. But for some reason I hadn’t seen money in a long time. We just didn’t need it. “Sure!” If I remember, they offered me a dollar, a small fortune, to carry the clubs. And as caddy, I had other duties: retrieving errant balls, delivering a putter to the green, raking a sand trap, etc. It was all new to me, but I was eager to learn. But more importantly, I was eager to have that dollar. Caddies were unheard of at Pine Hills Golf Course, as I would later learn. They were just being nice. I have no recollection of who they were. 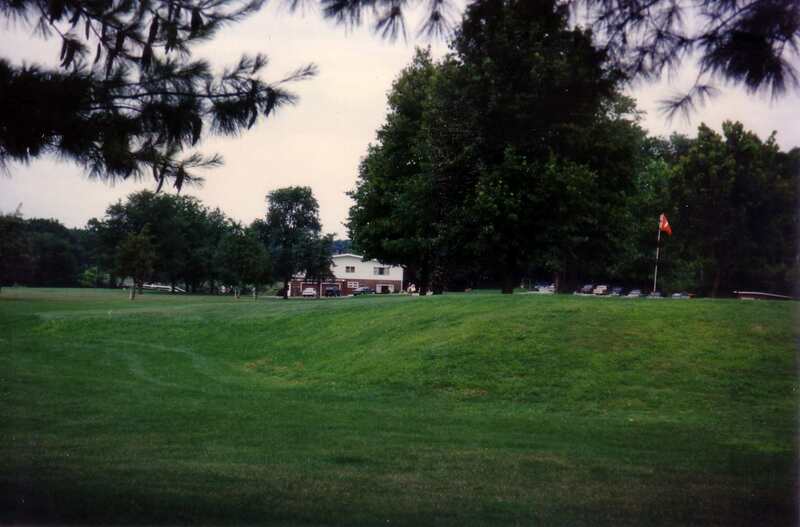 The course was listed as “Semi Private”, meaning that there were members who paid annual dues, a few hundred dollars per year, and what we called “Green Fee Players”, who paid $2.50 for nine holes and $4.00 for eighteen holes. In later years I always assumed that these guys were green fee players, but I can’t really know for sure now. About all I remember about the round is that I finished, performed my function adequately, and collected my dollar. Afterwards, I jumped on my bike and rode home, knowing that I would visit the golf course again soon, and maybe get another caddying job. Little did I know then that caddying would not be in my future.